With Stage One Playoffs in the rearview, the shift in focus has started for all 20 Overwatch League teams as the second stage kicks off next weekend. If Stage playoffs taught us anything, it’s become apparent that the top 8 teams all have the capabilities of beating each other if given the right scenario. Although we didn’t get to see our dream New York Excelsior vs. Vancouver Titans matchup, the ensuing Final that took place last weekend was a stark reminder that there is more than a few talented teams within the league. In the meantime, we take a look at the most important league changing storylines that are sure to shake things up in the coming weeks. Have the LA Gladiators arrived? 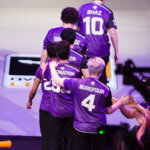 With the stage format of last year mixed in with the abundance of teams in Season Two’s Overwatch League, there were a few missteps that took place in terms of scheduling that ended the Los Angeles Gladiators playoff run before it began. Their ill fated resurgence in Week Four was a breath of fresh air for the league, and the synergy on display from LAG for those two games easily put them in conversation as a top five team. In Stage Two, LA Gladiators enjoy a much lighter schedule in terms of quality of opponents. Of all the teams they face in Stage Two, only one of them (Seoul Dynasty) were able to make the playoffs cutoff in Stage One. If all goes well with LAG, and this team continues their upward trajectory as a team, there is a chance they can go undefeated during this stage and more than likely punch in their ticket for a Stage playoff berth next time around. Although this high profile trade has not been confirmed, the potential to shake up the divisions for both teams is extremely high now that LA Valiant are desperate for a change. Valiant were the first team to be eliminated from Stage One, and now more than ever they will need an ace in the hole if they want to return to form and win games at the rate they used to. Adding Cameron “Fusions” Bosworth is an excellent first step, but some fans question the validity of the trade in terms of potential for Boston. Historically, Boston Uprising rarely do well with Korean players and they have yet to show they can unlock potential of high level Koreans without pushing them to the point of quitting first. While Kyle “KSF” Frandasia and Pan-seung “Fate” Koo are welcome additions, we still need to wait and see how they actually fit into their new surroundings. What will the meta look like? With the entrance of Baptiste into the meta, there is no doubt that there will be at least a few changes that will accompany Stage Two gameplay wise. While GOATS at the moment is nowhere near dead, there have been murmurs around the league that high ranking Overwatch officials are actually in favor of regimented and assigned role queues. If this plan goes into effect, the game will undoubtedly be a much more fan friendly experience that will incorporate all aspects of Overwatch. In the current meta, the game sometimes feels too static and whether a team wins or loses a fight is rarely dependent on independent flair but rather, how well six players can gel as a team. The Stage One Finals was a clear indicator that no team in the Overwatch League is untouchable, but Vancouver Titans are pretty damn good regardless. With last weeks performance, SF Shock put themselves firmly in the driver’s seat and they will no doubt be one of the biggest teams to watch next stage as well. SF Shock have such a nice core of young and still developing players. This past weekend saw a few of them come into form, and when this team is firing on all cylinders they can challenge anyone for that number one spot. Lying in wake, we can’t forget about NYXL even though they choked in playoffs once again. Like last year, NYXL are the scariest and most dominant team in the regular season but once it gets to a bo5 or bo7, they regularly crack under pressure. In this respect, NYXL can benefit from a meta change but they issues are much more deep rooted into the team culture. Even still, you have to respect the potency of this lineup and last weekend’s dismal outing against Seoul Dynasty doesn’t make or break their season, if anything it will just revamp them.